Alex Blackburne reports on how the world’s third richest man, Warren Buffett, has made plans to buy the $2 billion Topaz solar farm project from First Solar. First Solar’s Topaz solar farm will, when completed, generate enough energy to power 160,000 homes in California. Because of this, Warren Buffett, and his company, MidAmerican Energy Holdings, have struck a deal to buy it. 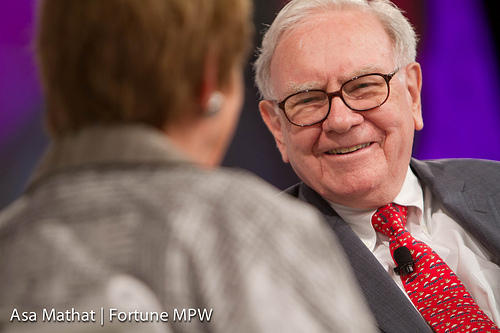 The world’s third richest man, Warren Buffett, has made plans to buy the $2 billion Topaz solar farm project from First Solar. Buffett, who is the third richest man on the planet behind Carlos Slim and Bill Gates, has an estimated fortune of $47 billion. The buying of the Topaz project will be the first time the Berkshire Hathaway president, chairman and CEO will have ventured into the solar power industry, but the deal brings with it huge possibilities for the future of renewable energy, particularly in the US. “MidAmerican is the number one owner of wind-powered energy generation among U.S. rate-regulated utilities”, explained Greg Abel, chairman, president and CEO of MidAmerican Energy Holdings Company. Abel continued, stating that the opportunities behind the project were vast. “As energy needs continue to increase, the Topaz project will allow MidAmerican to produce renewable energy for thousands of Californians”, he said. Buffett and MidAmerican’s decision to buy out the Topaz project will hopefully spur on other equally well-off philanthropists to invest in renewable energy. The key to a sustainable, clean energy-driven future is not only for individuals to invest in these companies, but also for them to have wealthy backers to provide a sturdy financial backbone as the industry grows. As we’ve seen on Blue & Green Tomorrow, clean energy investment is on the rise much quicker than fossil fuels. With the likes of Warren Buffet and company on board, the news can only get even more encouraging. If you would like to find out more about investing in clean, renewable technologies, ask your financial adviser, if you have one, or complete our online form and we’ll connect you to a specialist ethical adviser.